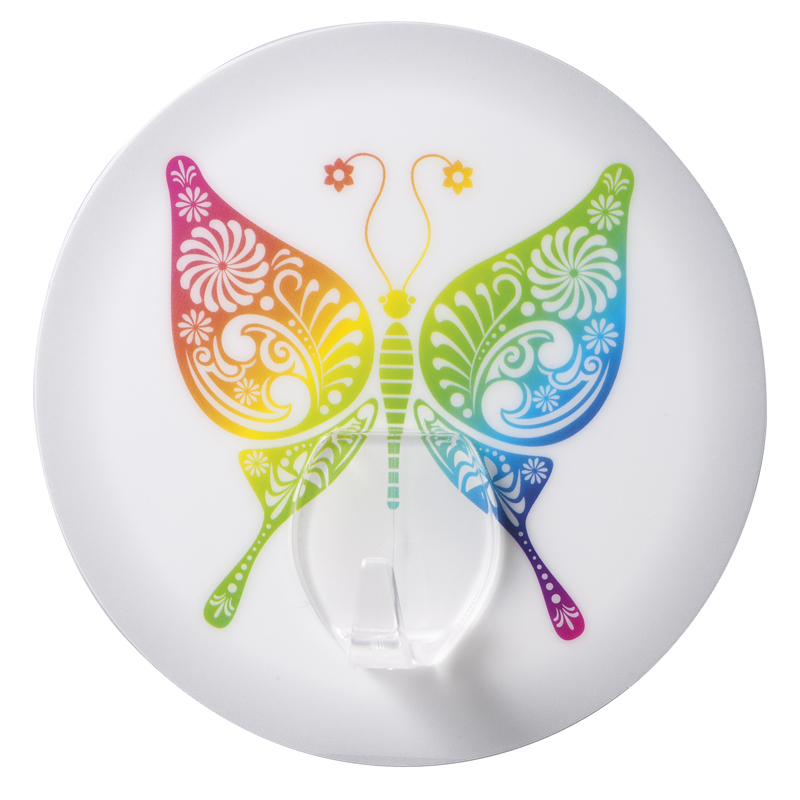 Non-marking, reusable, multiple uses. 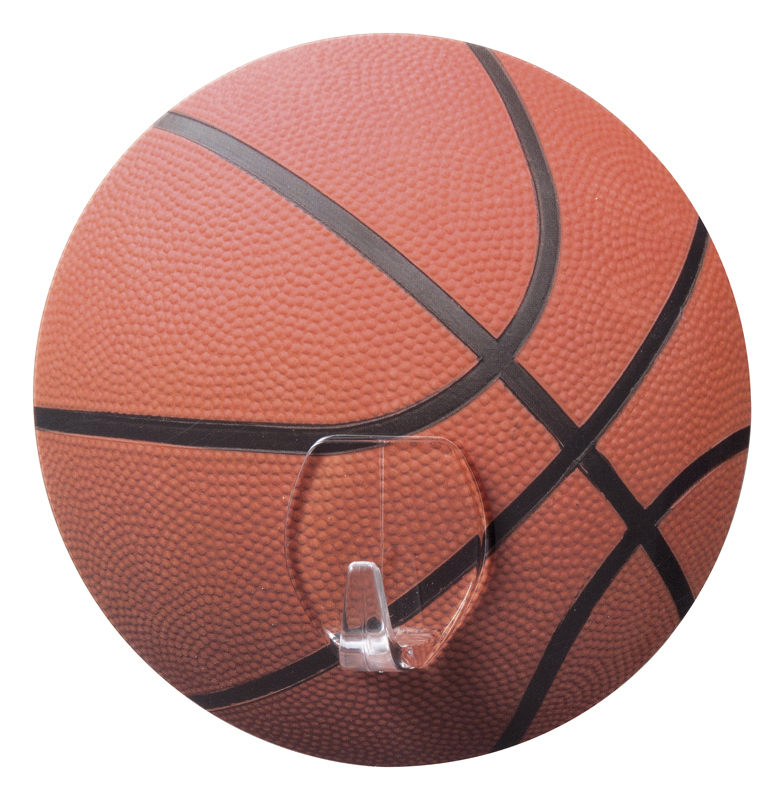 No screws, nails or tape required. 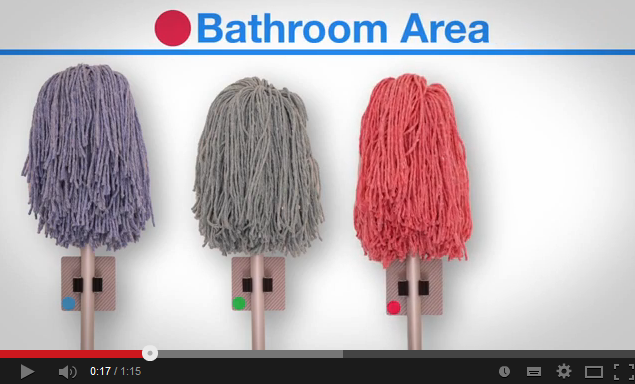 It works on multiple surfaces. 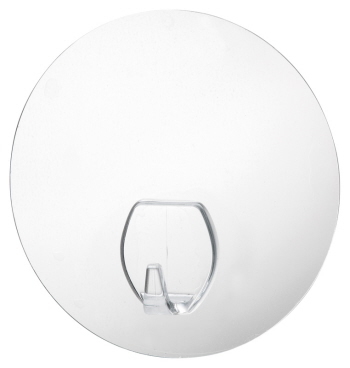 Best applied to glass, stainless steel, tiles & laminate. Available sizes are small, medium and large. 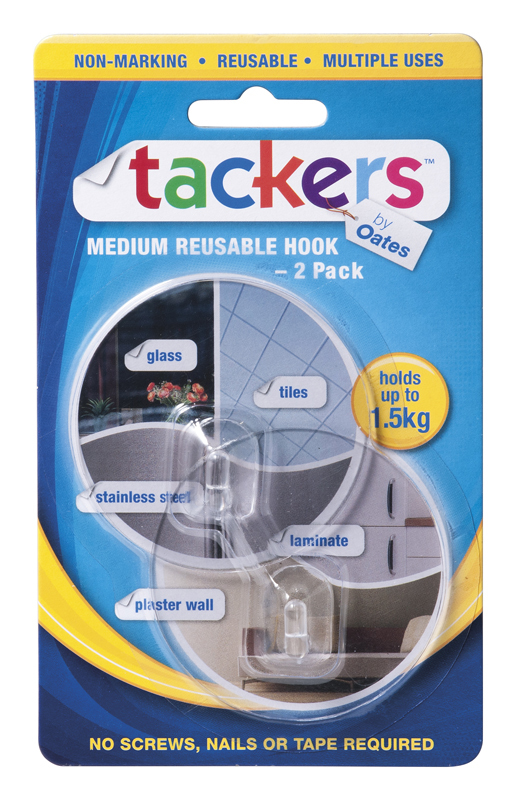 Small Tackers reusable hooks holds up to 500gm, medium up to 1.5kg, and large up to 2.5 kg. 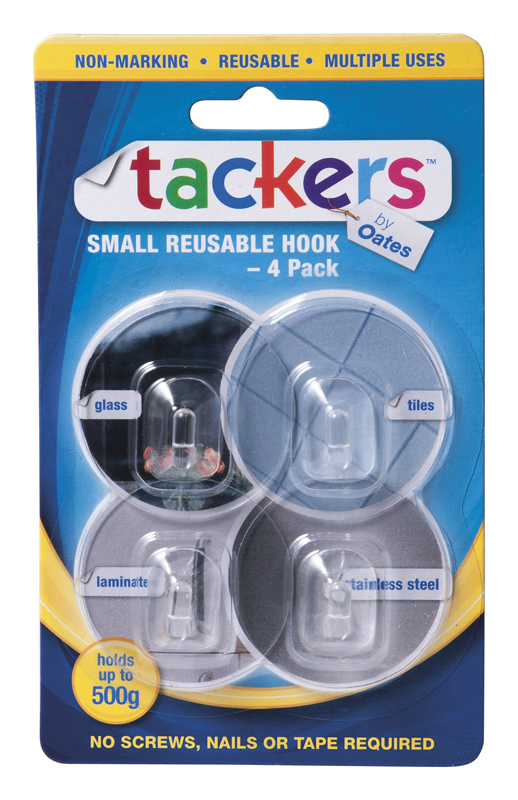 Small reusable hooks , pack of 4; medium -pack of 2, and large- pack of 1. 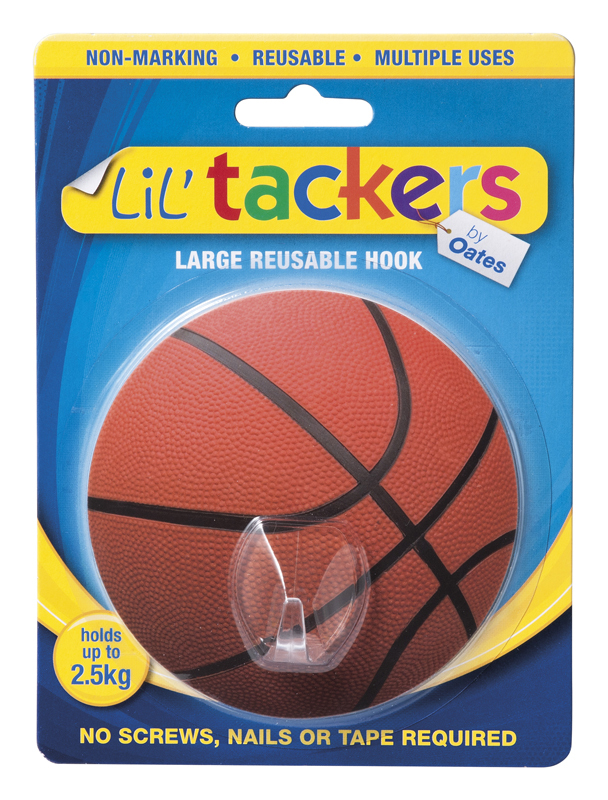 Non-marking, Reusable, Multiple Uses. No screws, nails or tape required. It holds up to 2.5kg. 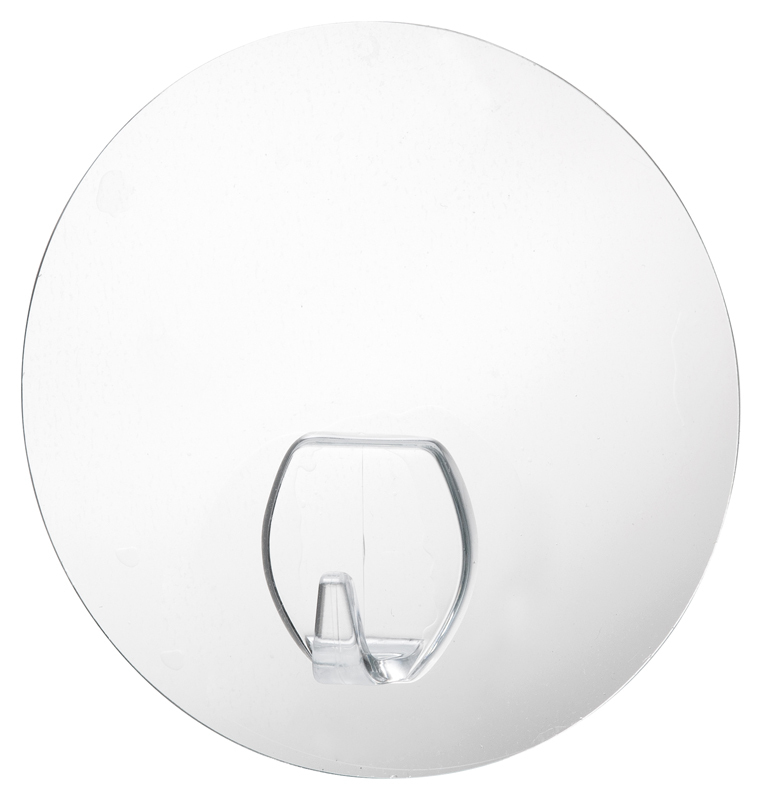 Best applied to glass, stainless steel, tiles & laminate. 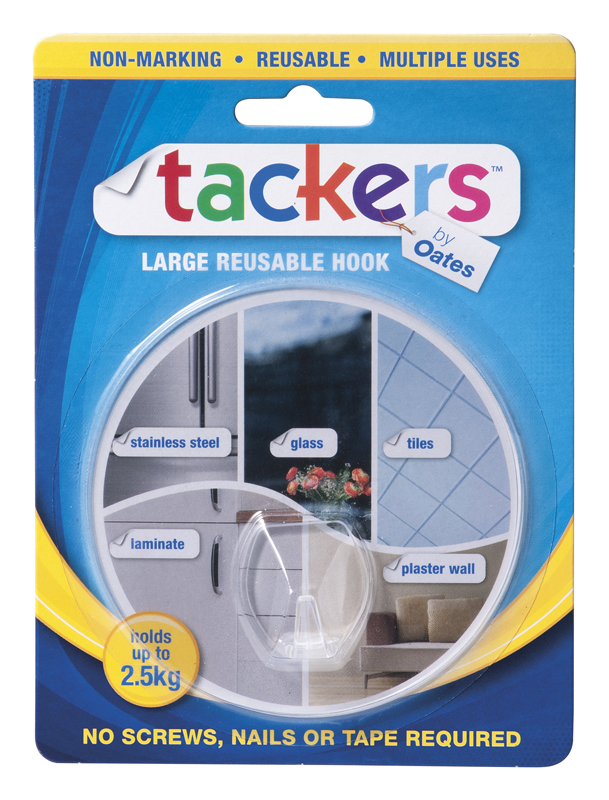 This Tacker's reusable hook holds up to 2.5kg. 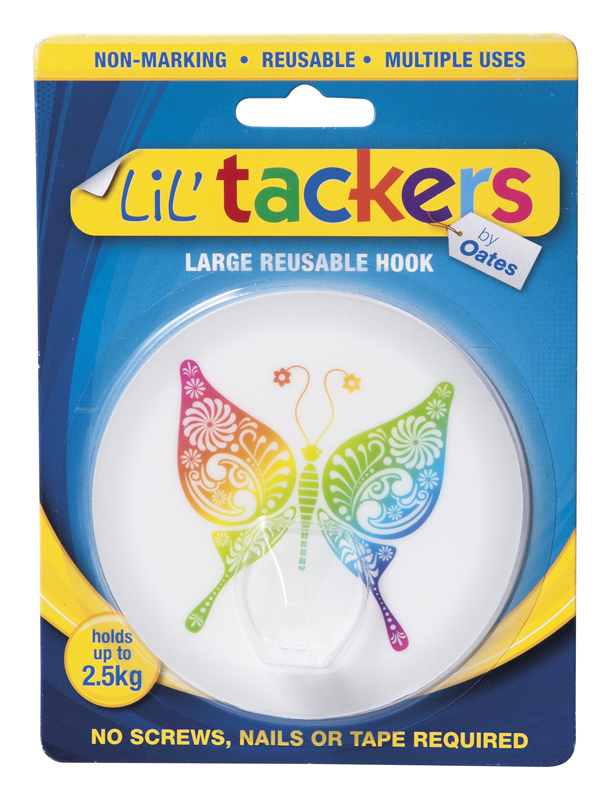 Non-marking, Reusable, Multiple Uses. No screws, nails or tape required. 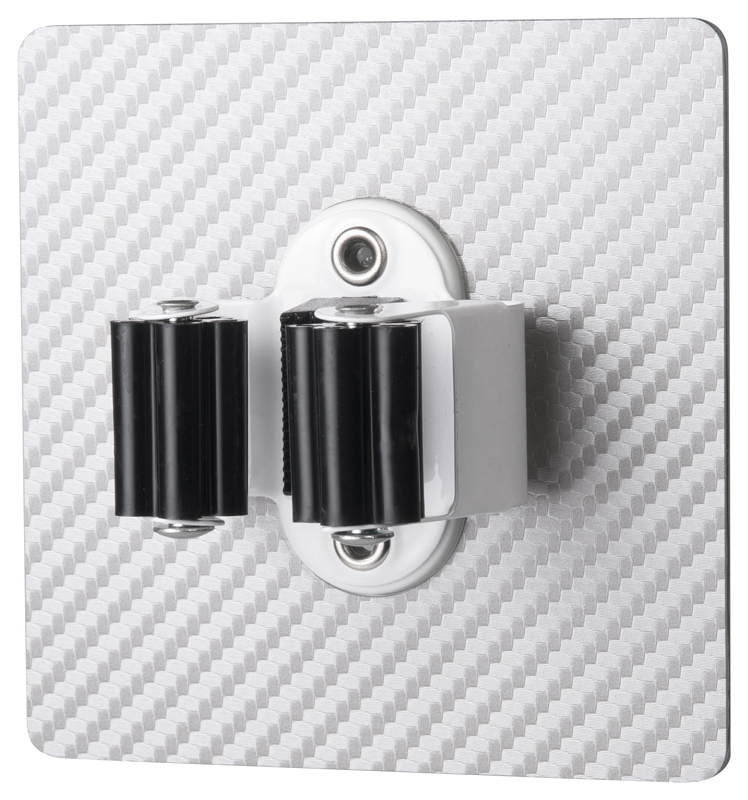 It is best to be applied on glass, stainless steel, tiles & laminate. 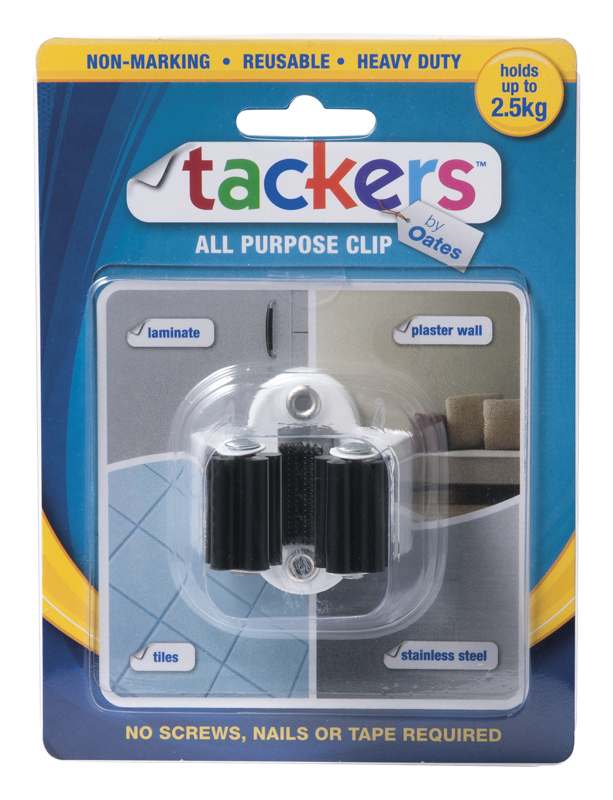 Tackers all purpose clip is able to hold up to 2.5kg. It can be used multiple times leaving no marks. No screws, nails or tape required. 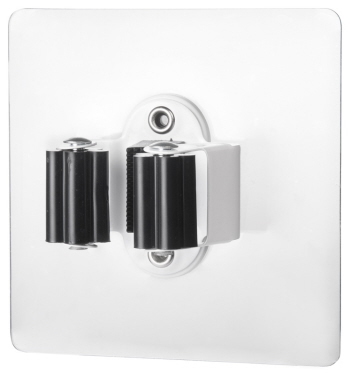 Most suitable to apply on glass, stainless steel, tiles & laminate. 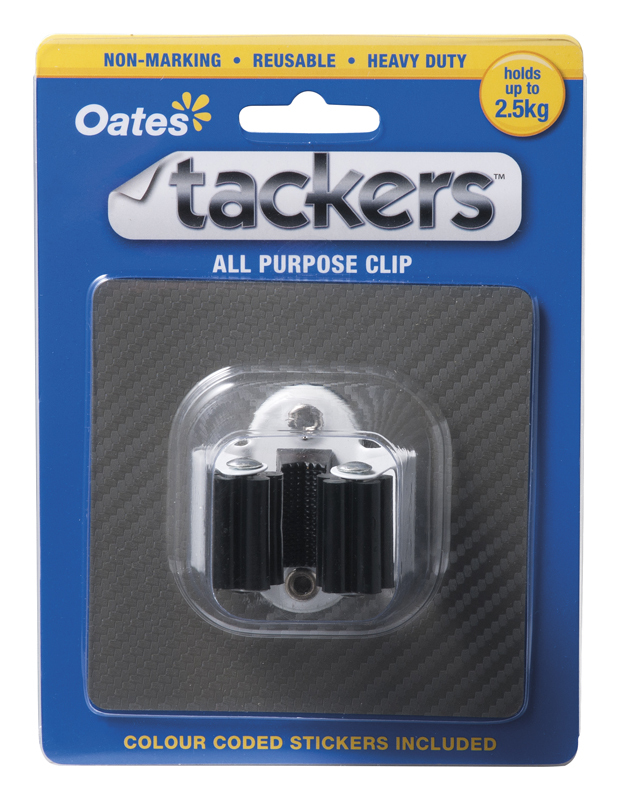 Click image below to watch how this Tackers All-Purpose Clip works.